We are in the business of manufacturing, exporting and supplying highly efficient Magnetic Sweepers. 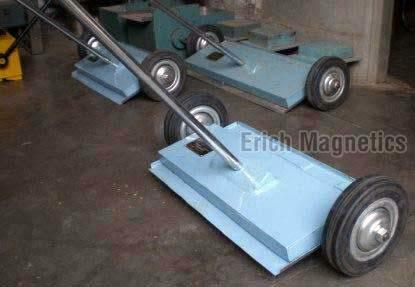 Easily and quickly clean-up tramp iron from factory aisles, machine shop, driveways, parking lots or any flat surface indoors or out with the help of our ERICH model-SRD permanent magnetic floor sweepers. Our Magnetic Sweepers are helpful in removing machining chips, nails, staples, wire and all sorts of dangerous tramp iron.